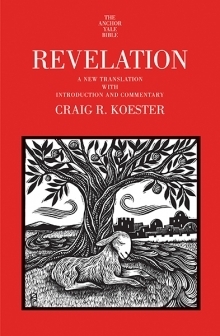 In this landmark commentary, Craig R. Koester offers a comprehensive look at a powerful and controversial early Christian text, the book of Revelation. Originally written for Christian communities in Asia Minor, Revelation depicts scenes of cosmic conflict in which God, the creator of the world, overcomes the forces of destruction and makes all things new. This often misunderstood portion of the New Testament repeatedly surprises readers by warning that judgment is imminent, only to interrupt the visions of terror with messages of hope and redemption. Koester provides richly textured descriptions of the book’s setting and language, making extensive use of Greek and Latin inscriptions, classical texts, and ancient Jewish writings, including the Dead Sea Scrolls. While Revelation has often been viewed as world-negating, this commentary focuses on its deep engagement with social, religious, and economic issues. It also addresses the book’s volatile history of interpretation and its cultural impact over the centuries. The result is a groundbreaking study that provides powerful insights and sets new directions for the continued appreciation of this visionary religious text.